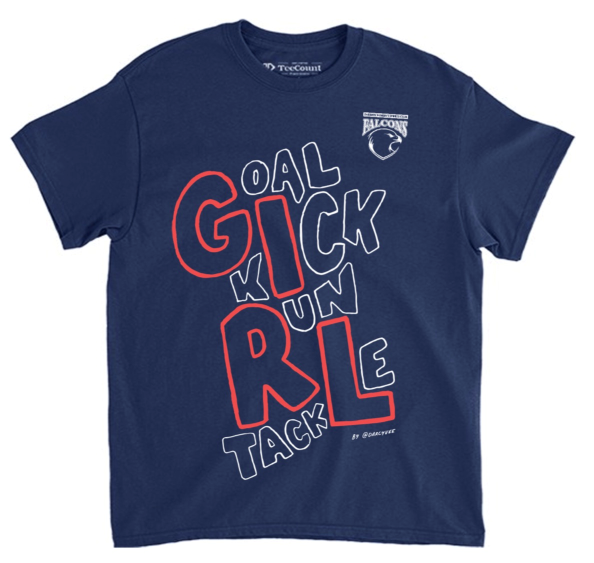 We are thrillled to bring you this amazing girls t-shirt designed by AFLW superstar and Falcon favourite Darcy Vescio. This t-shirt has been designed with the Darebin Falcons values at heart. As a club, we are determined to bring gender equality into male dominated sports such as soccer, AFL, cricket and 8Ball and pride ourselves on providing opportunities for women and girls. This t-shirt has been designed by women for girls and we know you are going to love it! Darcy’s Falcons story began in 2012 when she moved to Melbourne for university. 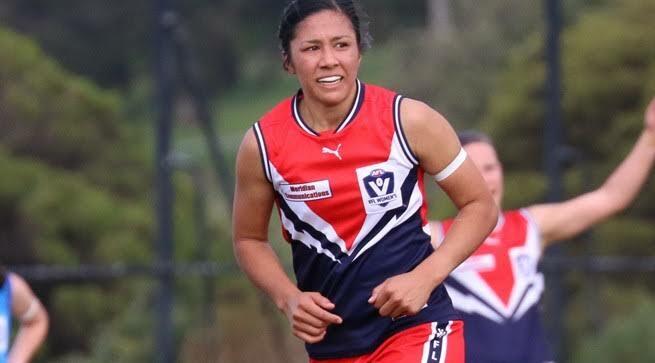 She immediately found her footy home and went on to win 4 state league AFL premierships with the Falcs before being drafted as a marquee player to Carlton in the AFLW. All proceeds from the sale of the t-shirt will be invested into the Darebin Women’s Sporting Club.